Those wacky guys at Foxconn just can’t keep a lid on anything these days, and now 9to5Mac is citing sources saying they have seen prototype iPhone 5 in the flesh. 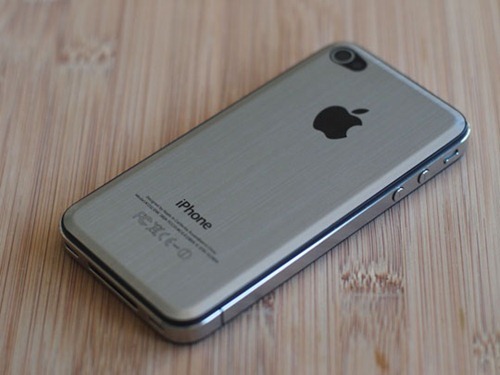 Image shows a third-party metal back for iPhone 4, not an actual image of iPhone 5. 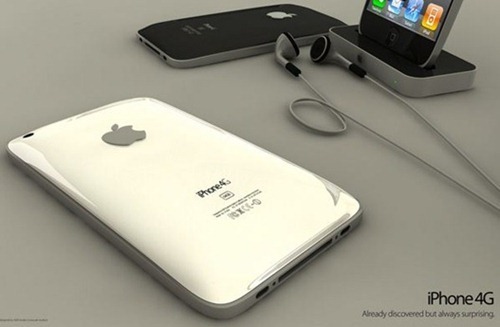 The sources claim that the next-generation iPhone 5 will retain a similar size and shape to the current model, with a couple of key changes. The first change is the screen. Rumors have circulated for a while now, with many believing a 4-inch screen is on the horizon – bringing Apple’s handset in-line with the major competition. An edge-to-edge screen is also expected. No resolution was mentioned, however. The other change involves the materials used. Again, rumors have suggested that a metal rear-plate will replace the current glass solution. The original 2007 iPhone used a metal enclosure which was later changed to plastic for the 3G and 3GS models to improve radio performance. If Apple does continue with the iPhone 4’s antenna system, it’s possible the material used on the rear won’t affect reception quite so much. Perhaps we could even see Liquid Metal come to the iPhone? As is so often the case with these things though, we’re sure there will be rumors and counter-rumors leading up to an official iPhone 5 announcement and we can’t wait to hear what they are!